Human remains bricked into the wall of an abandoned mill. An unsolved mystery as brittle as the newsprint it was printed on. 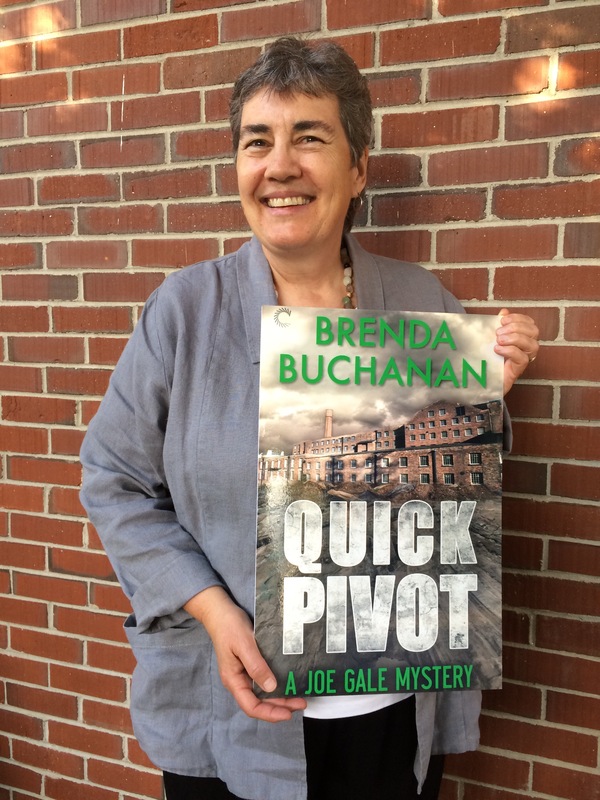 Attorney-author Brenda Buchanan shares a few things in common with her protagonist Joe Gale–both have worked as journalists, both have lived in mill towns, and both like to dig up the truth, especially with the help of characters from Peaks Island. Accessed only through what Brenda calls “the brave new e-reader world,” “Quick Pivot” (Carina Press) is the first in a trilogy. The next book-set in Machias-will come out this fall. You can acquire Quick Pivot through the library, Longfellow Books, Amazon, or any e-book distributor.